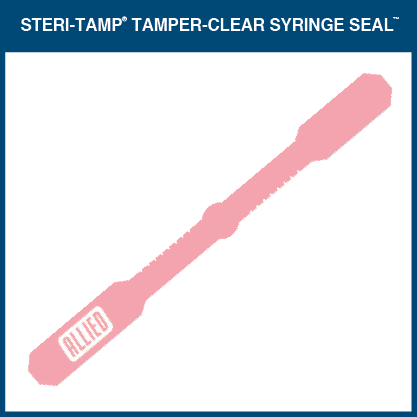 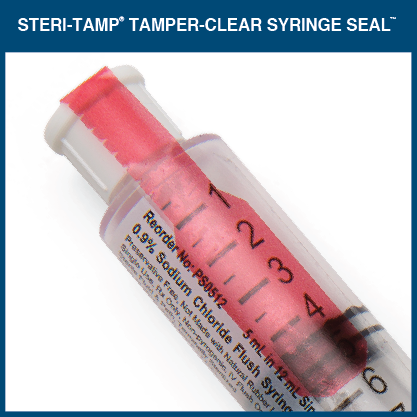 The Tamper-Clear Syringe Seal provides a tamper-evident seal while maintaining the clear visibility of syringe graduations and the ability to scan bar codes. 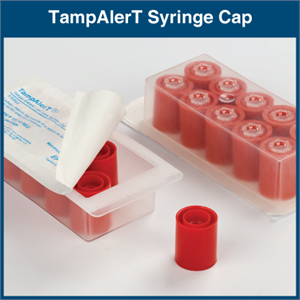 It’s easily applied over the syringe cap and maintains the integrity of the medication and packaging…even when refrigerated. 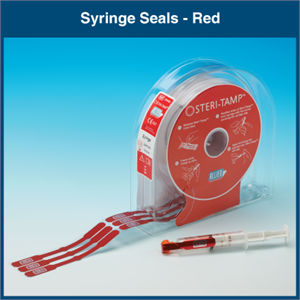 Once removed, the seal can’t be reapplied. Removing the syringe cap destroys the seal. Designed to withstand freezing temperatures down to -20 degrees Centigrade, Steri-Tamp’s powerful adhesive seal has been shown to be over three times stronger than others on the market. 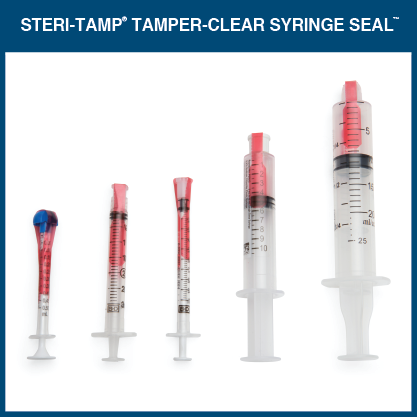 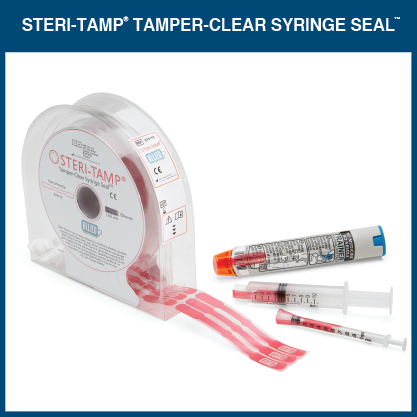 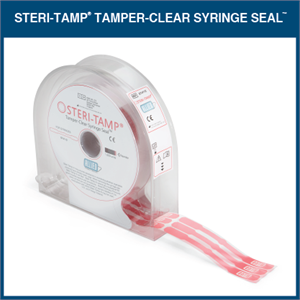 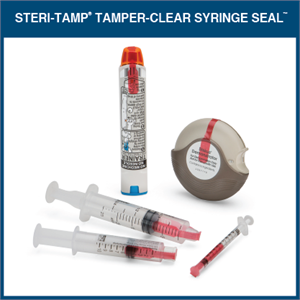 All Steri-Tamp products are packaged in a convenient USP <797> compliant dispenser. 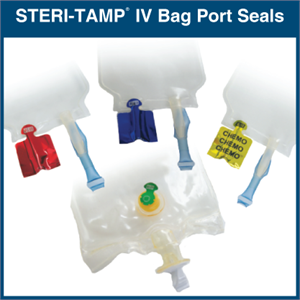 Tamper Evident IV Bag Port Seals in Blue, Red, Yellow CHEMO Imprint or Green Belly Button Styles. 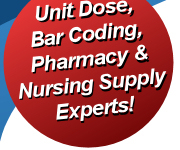 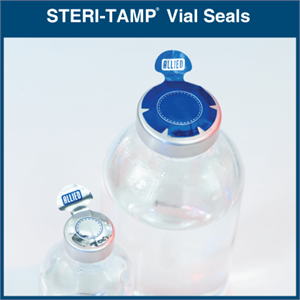 Tamper Evident Seals for Multi-Use Vials in Blue, Silver or Red Styles.